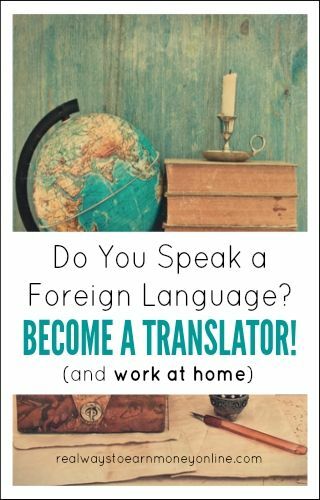 If you are fluent in another language, you may be able to find translator jobs from home. The companies below all regularly seek out people who are bilingual to work from home doing translation/interpretation work. Airbnb – Occasionally has openings for freelance/remote translators for various languages. American Journal Experts – Hires remote contract translators for various languages. Cyracom – Hires contract interpreters. Make your own schedule and hours. Must have degree in interpretation. Gengo – Read Gengo Review – Hundreds of professional work from home translators like you earn extra income via Gengo. Sign up now for access to no-hassle, no-obligation translation jobs. Twice monthly pay. Interpreters and Translators, Inc. – Hires interpreters and translators for many different languages. Entry-level interpretation positions open. Language Line – Read Language Line Review – Language Line is frequently hiring for work at home interpreters in various languages. Certified Languages – Hires language interpreters from the US with two or more years experience. Interpbridge – This is Lionbridge's interpretation division. Andovar – Hires freelance translators and editors. Must have relevant experience. Language Scientific – Occasionally has home-based positions open for experienced translators. Language Service Associates – Regularly hiring virtual sign language interpreters, face to face interpreters, telephonic interpreters, and translators. Multilingual Connections – This company has openings for home-based translators and interpreters. Rev – Often in need of freelance translators. Make your own schedule and get paid weekly with Paypal. Translators Town – Like most other freelancer sites except this one lets you bid on translation jobs. Transparent Language – Hiring remote workers worldwide. Lots of different languages accepted. Transperfect – This company occasionally hires remote interpreters on a freelance basis. Pacific Interpretation – Hiring remote workers for telephonic interpretation of many different languages. Proz – This is a great resource for finding freelance translator jobs from home. Verbal Ink – Read Verbal Ink Review – Hires US based work from home translators. Must pass a skills test and background check. Verbalizeit – Read VerbalizeIt Review – Hires freelancers for interpretation, translation, and transcription. Work on your own schedule and get paid every 15 days with Paypal. Verilogue – Read Verilogue Review – Hires remote medical translators and transcribers. You will need to have some prior medical transcription experience to get this freelance position. World Lingo – Hires freelance translators to work from home. Looking For More Companies With Translator Jobs? Another excellent resource for this is FlexJobs. Many well-known companies choose to post their listings here each time they have them, and it's one of the most reputable job sites on the web for people who are seeking primarily work at home jobs and/or flexible work. Also, FlexJobs is one of the only job search sites in existence that can absolutely guarantee you'll find no scams on their site. It's the only fee-based membership site for work at home jobs that I have used myself and would recommend. I feel that the $14.95 monthly fee is worth it considering the organization of their site and the lack of scams, but if you're not satisfied you can cancel and/or request a refund at any time. Go here to preview work at home interpretation listings and translation listings at FlexJobs.